instructions -Orders issued - Reg. 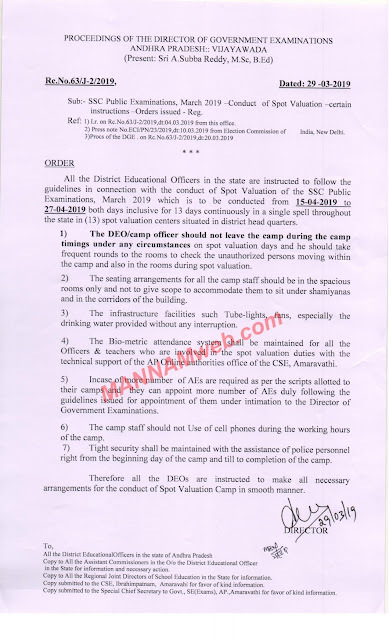 Ref: 1r on Rc.No.63J-2/2019,dt:04.03.2019 from this officc. drinking water provided without any interruption. technical support of the AP Online authorities office of the CSE, Amaravathi. 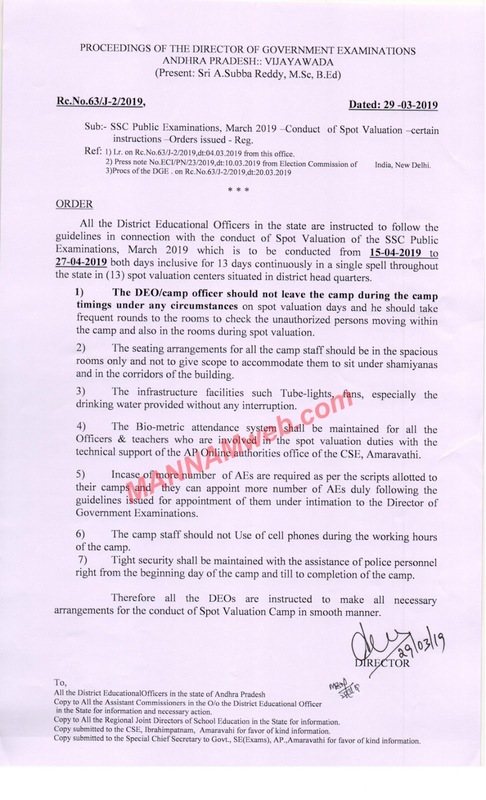 arrangements for the conduct of Spot Valuation Camp in smooth manner.